In particular, I agree that the programmatic differences among the major candidates are small and not especially important: The party has reached a consensus on most issues. He’s right as well about the general-election appeal of a solid-citizen candidate. But there are several important questions Brooks does not address. 1) How much of that consensus would Romney actually act on? That question has to be asked about any candidate but for various reasons it has to be asked especially of Romney. 2) Can Romney mobilize public opinion behind the Republican program? Brooks describes Christie as someone who could do that, then drops the subject. 3) Is that consensus correct? If not can Romney supply what it lacks? 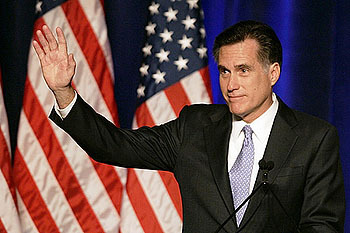 4) When new issues come up for which the consensus has no answers, what would President Romney do? I suppose these are the kind of questions I’d be asking too if I were a Republican, but from an outside perspective they all seem like pretty small beer. It’s true that the policy differences between Romney, Perry, and Christie are pretty tiny, but I also suspect that the differences in temperament and affect, which seem bigger, really aren’t. The whole thing reminds me a lot of the Obama-Clinton primary, which involved a stupendous amount of sturm und drang over two candidates who, frankly, probably would have ended up being mostly the same in office. As it happens, my preference for Romney isn’t due to the fact that I think he’s secretly more liberal than Perry. He probably is, but I doubt that would make any real-world difference, and liberals are kidding themselves if they think it would. My preference is based solely on the fact that in a crisis, I think he’d be pretty likely to act soberly and sensibly. I don’t have the same confidence in Perry. As for Ponnuru’s questions, I think he’s on the wrong track. In 2008, both Obama and Hillary Clinton had ambitious agendas that they had a legitimate chance at passing. The Republican Party had imploded, the financial meltdown provided a crisis atmosphere, and Democrats were likely to win big majorities in Congress. Neither Romney nor Perry has any of that working for them. The battle lines are drawn, neither side is likely to back down much, and even in the best case Republicans aren’t going to win anything close to a filibuster-proof majority in the Senate. A Republican president just flatly won’t be able to get an awful lot done. Conservatives are kidding themselves if they think otherwise. So if Romney is elected president: (1) He’ll act on whatever he can get the votes for, which probably won’t be a lot. (2) He won’t be able to mobilize public opinion any better or worse than anyone else. It’s mostly set in stone on the big issues. (3) The conservative consensus isn’t going to change, regardless of whether it’s right or wrong, so that’s not something to worry about. (4) What new issues? When was the last time that something so new cropped up that the conservative movement didn’t quickly coalesce around a fairly limited set of correct responses? Even 9/11 and the financial crisis were swallowed by the prevailing conservative consensus pretty quickly. Romney is an analytic tactician, but that should make Republicans feel good, not uneasy. He knows the base is suspicious of him, and he’ll do everything he can to assure them of his conservative bona fides. He’s sort of like Richard Nixon but with a different environment. Nixon didn’t care much about domestic policy, so he was willing to do whatever Congress and public opinion favored. Romney doesn’t care all that much either, but in 2013 that means he’ll be willing to do whatever the tea party and the Republican leadership favor. Similar temperaments, different incentives. He’ll be the most reliable conservative president imaginable. So instead of Ponnuru’s critieria, Republicans should instead be focusing on (1) electability, (2) electability, and (3) electability. And Romney is clearly the most electable candidate in the Republican field. From my perspective, that’s not good. At the same time, I’m pretty sure Romney won’t panic and do something really stupid just because the tea party is getting restless. At the moment, that’s about the best I can hope for from these guys.